With winter closing in, the dropping temperatures are giving us a taste of what's to come in the next few months. Cold weather often brings warm drinks, cozying up to the fire and gatherings during the holidays. However, these months also impact your overall health. Let's take a look at three major ways that cold weather impacts your well being. 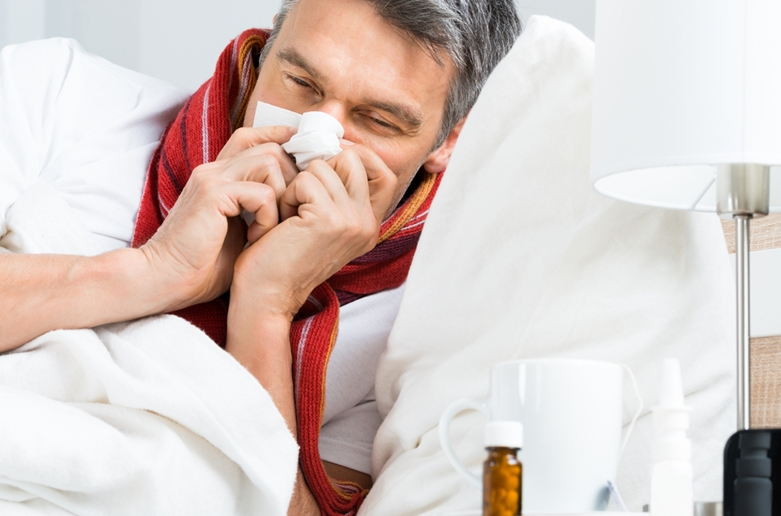 The old wives' tale that cold weather will make you sick isn't entirely accurate. It's not the weather itself, it's the more frequent gatherings of people that increase your chances of falling ill. CBS affiliate KVAL noted that as people cluster inside when it's cold, they stay around each other and that's when viruses are transferred. Washing your hands frequently, using hand sanitizer and staying home when you're sick will help prevent illness and stop it from spreading. This will be especially important to observe during work and family gatherings to ensure co-workers and loved ones remain healthy. The colder months bring around Seasonal Affective Disorder, or the winter blues. The Weather Channel noted that the reduced level of sunlight disrupts the body's internal clock and can lead to feelings of depression and grouchiness. Be on the lookout for symptoms like tiredness, oversleeping, irritability, hypersensitivity and heavy feeling in the arms or legs. Staying inside to keep warm can also impact these factors. Taking time to go out to eat, watch a movie, visit loved ones or even play in the snow can be a welcome refresher to break you out of the winter blues. Exercising can also be a great way to stay healthy and reduce your depression risk. "D supplements help keep spirits high, reducing your risk for seasonal depression." With winter weather on the horizon, you might be looking forward to the meals brought on by the holidays as well as the promise of soups and hot beverages that accompany these colder months. However, the cold can impact your appetite and drive you to make different food choices, which will result in lacking essential nutrients. It's also common to overload on sugary and coarse foods, which can lead to weight gain. Breaking News noted that making healthy food choices will benefit your mental health and overcome the winter blues. Eating regularly and including protein, healthy fats and plenty of veggies in your meals will help balance blood sugar levels while keeping you full and energized. B vitamins and vitamin D supplements will also help keep spirits high while reducing your risk for low mood and seasonal depression. The cold weather might not make you sick directly, but it certainly has a big impact on your overall well being. By observing hygienic behaviors, eating right and taking a break to do something you love, you will be able to stay healthy and reduce the risks for seasonal depression. Doctors should review what SAD symptoms patients should look out for and techniques that will put them back into a better mood.